Former world heavyweight champion Tyson Fury in his ring return will fight Albania’s Sefer Seferi in Manchester on June 9. Fury has not fought since winning the IBF, WBA and WBO titles against Wladimir Klitschko in 2015. 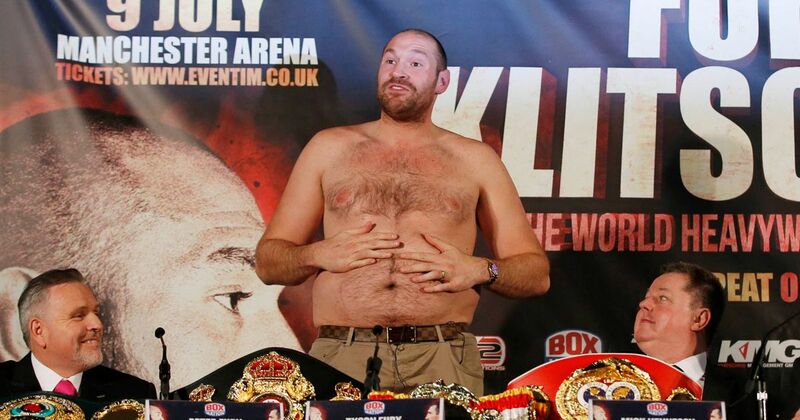 ‘Gypsy King’ has lost seven stone and looks in remarkable shape since teaming up with boxing trainer Ben Davison. Seferi holds a record of 23 wins from 24 fights, with 21 of his wins coming by way of knockout. Fury’s record currently stands as 25 wins from 25 fights, with 18 coming by way of knockout. Cruiser… oh dear that’s pathetic. I know he needs to get back into the ring but fight a heavyweight at least. Total joke. This chump is 39 years old. There is only 2 Albanian boxers in their country and he is number 2 wtf. This is definitely a mismatch. Really?? He would have sparred with harder opponents. Who the f**k is that guy? Saturday night bouncer?